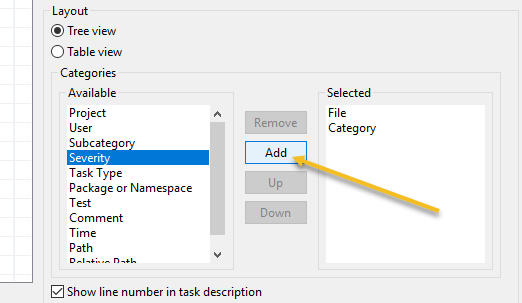 How to customize Quality Tasks eclipse view. Quality Tasks view can be customized to report static analysis violations and test results. 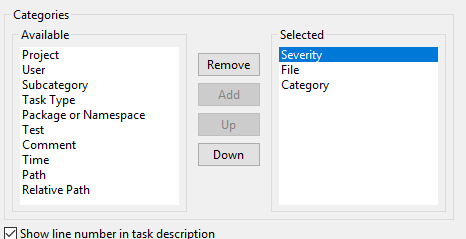 Then, Move the Severity to the top of the stack by pressing "Up"
You can customize your Quality Tasks view even further by choosing different filters and parameters.